Fiscally Free: Is it OK to Splurge on Anything? Mattress - Disagree - You should definitely get a good mattress, but you don't need to spend a lot to do that. Memory foam mattresses are amazing and are shockingly cheap on Amazon. Vision - Disagree - It is incredibly important to take good care of your eyesight; it isn't something you want to cheap out on, but it's easy to go overboard. Designer frames are obscenely expensive and I'm pretty sure most of the lens coatings they try to sell you don't actually do anything. There are lots of websites out there that will sell you glasses very affordably. Dental Care - Agree - In general, you should probably spend as much as you need to on dental care. That doesn't mean going out and getting every cosmetic treatment available, but it does mean you should get a cleaning twice a year and do what the dentist recommends. However, don't be afraid to shop around for expensive treatments. We saved a bundle by getting braces in a small town instead of Los Angeles. Also, electric toothbrushes are worth every cent, but you don't need the fanciest one. We just got this one, and it's better than any sonic brush we've used. You can also find incredibly cheap generic replacement heads. Work Clothes & Shoes - Disagree - People love to talk about buying fewer, higher quality garments, but that is just a ruse to justify excessively expensive clothes. For most common garments, there is very little difference in quality between something off the clearance rack at Kohl's and something out of a designer boutique. The simple truth is you are almost always paying for the name on the tag. It might be worth paying a little more for a quality suit, but most people don't wear suits very often, and these days you can get custom suits for reasonable prices online. Baby Care Products - Disagree - You definitely shouldn't cheap out on your baby, but you don't need to buy the most expensive things for them either. There are a lot of incredibly expensive baby items out there, and the sellers happily peddle them to people who just want the best for their babies. It's totally reasonable to want nice things for your baby, but it's important to look through the marketing haze and avoid spending way more than you need to. Sports Equipment - Disagree - If you're not a professional athlete, you don't need the fanciest sports equipment on the market. We all want to perform our best, but it doesn't really matter if we do. Normal people play sports for fun and/or exercise, and you will have just as much fun and get just as much exercise with second hand equipment as the fanciest space-age stuff. Prime Property - Agree - If you're going to spend a small fortune on a house, it makes sense to buy a good one. A home is an investment in a lot of ways, so you should buy one that has the greatest probability of increasing or at least maintaining its value. Home Appliances - Disagree - High end home appliances are obscenely expensive and are little more than status symbols. 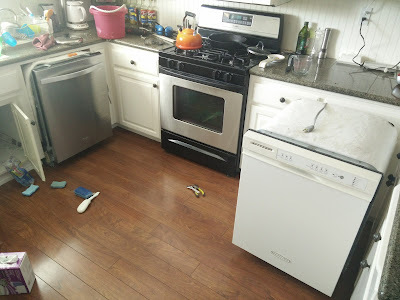 Appliances are another category where you probably don't want to buy the cheapest option, but there is usually very little difference between a mid-grade appliance and the most expensive version. In my experience, the more expensive appliances tend to be the least reliable. They often incorporate more electronics that break often. was on the curb and the dishwasher was salvaged from a remodel. Home Theater System - Disagree - The average person will barely be able to tell the difference between a decent home theater system and a spectacular one. However, the price difference will be spectacular. Today, a very nice home theater system can be built for a very modest amount of money, and it's pretty crazy to do anything more than that. Mobile Phone - Disagree - Just like computers, mobile phones have pretty much been commoditized. It's a little silly to pay a fortune for the latest and greatest phone when it does exactly the same thing as the old one, only infinitesimally faster and with a few extra pixels. Wellness - Disagree - The items listed by the author for this category just seem like a bunch of indulgences. It's alright to treat yourself to some pampering every once in a while, but you shouldn't make a habit of it. Vacations - Disagree - You can spend an infinite amount of money on vacations and travel, so it's crazy to say you should splurge on it. It's also not that hard to travel without spending a fortune. Most of the memories you make when traveling won't revolve around spending money, they will come from doing new things in new places. Food - Disagree - We've written about this topic before; you don't have to spend a lot of money to eat well. You will have to mostly cook for yourself, but that isn't too hard. You basically just have to buy whatever fresh food is on sale and eat that. For meat, which is often the most expensive part of a meal, buy in bulk during sales and freeze what you won't use immediately. It's OK to splurge a little on a nice meal out every once in a while, but doing it too often will definitely blow your budget. Car Safety - Disagree - If you have a relatively modern car, it is incredibly safe. Bigger (usually more expensive) cars are technically safer due to basic physics, but that doesn't mean smaller, cheaper cars are unsafe. Don't think you need to buy a big car with all the latest gadgets and features to keep you and your family safe. The most important thing you can do to improve your safety in a car is be a more attentive driver. Don't text, do your hair, shave, or read the paper while driving. Most importantly, don't drive drowsy. K-12 Education - Disagree - Throughout the United States, the government offers completely free education to every child. The quality varies by location, but you can't really complain considering the price (after all, Free = Baller). If you live in bad school districts, it isn't the end of the world. I attended some of the lowest ranked public schools in the state of California and still managed to be successful enough to retire at 30. What happens at home is much more important than the classroom, so don't spend a fortune on private schools; sit down with your kid and read a book. So, we disagreed with 13 out of 15 categories on the list. Either we're extraordinarily frugal, or the list's creator is a little extravagant. Maybe a little of both. Socks - Switching to wool socks has improved my life (and the lives of those around me) dramatically. They cost a lot more than a pack of Hanes, but they are worth every penny. Wool is a miraculous material that is wonderful in hot or cold weather. It "breathes" like nothing else, so it doesn't smell or ever really feel wet. For everyday use, the best option I've found are made by People Socks. They are 71% wool (compared to 50% for most "wool" socks), ankle height (which is hard to find in wool), cheaper than most similar options, and made in America. When I had a job and had to wear dress socks (like a sucker), I wore wool Gold Toes. Wi-Fi Router - We struggled with bad Wi-Fi for a long time and it was incredibly frustrating. 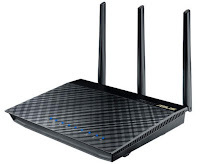 I eventually broke down and bought the best router on the market (at the time). It was $170 when we bought it, which is a lot of money, especially compared to the $34 router we had before, but the performance was a revelation. We no longer struggled to stream Netflix on our TV or suffered with spotty connections on our phones. Everything JUST WORKED, so do yourself a favor and get a quality router if you have any issues with your current one. Garden Hose - There are few things more frustrating than struggling with a crappy garden hose. Do yourself a favor and get good ones. They will last a long time. Tools - For tools you will use a lot and keep for a long time, it makes sense to buy good ones. They will make your job easier and improve the quality of your work. However, I try to buy expensive tools used, so you often don't have to splurge on them. Also, consider cheaper tools for things you only plan to use a time or two. Paint - Buying the highest quality paint is almost always a good idea. It will go on better and last longer than the cheaper stuff. Long term, it may even cost less because you won't have to repaint as often. The same goes for caulk. Get the good stuff and avoid having to do the job a second time. The Things You Care About and/or Use Most - If there's something you really care about, it's alright to splurge a little on it. This isn't a free pass to spend a lot on the latest fad you're "totally into." It only applies to the things you are truly passionate about. It's even better if it's something you use often. For example, I used to take a lot of notes by hand and I really appreciate the feel of a quality pencil in my hand, so I bought a really nice one. Maintenance - If there's something you've already spent money on, it makes sense to spend whatever is needed to take care of that item and ensure it works as well as possible, for as long as possible. A good example of this is vehicle maintenance. Change your oil on the recommended schedule, and don't be afraid to pony up for synthetic (but be careful because they like to overcharge for it). So...that is a really short list. I'll update it if I can think of anything else, but if we add the items I agreed with from above (dental care and prime property), it is a little less depressing. In conclusion, the answer to the question in the headline of this post is YES, it is OK to splurge on some things, but not many, and certainly not often. At the end of the day, pretty much everything you buy should be scrutinized to avoid wasting money and ensure you get the best value. What do you splurge on? Let us know in the comments. Get cash back on your splurges with Ebates. Let's face it, we're all going to splurge on something every once in a while. You might as well get a little cash back when you do. Ebates lets you do that. They will give you money back when you buy something from one of their thousands of partners, which include Amazon, Walmart, Lowe's, and many, many more. Try it now and you will get a $10 bonus after you make your first purchase. That's the least important thing I learned from MAC. I think it's not the difference between splurge and not splurge. It should be cheap-out, average-quality, and high-quality. For me, cheap-out and average would probably be equal in number with very few if any high-quality. I get what you're saying. We have another post coming that gets into that.